1. Cut out your circles. I did this the hard way by tracing a coffee cup and cutting each one out, but this task could be easier if you got the proper tool. I cut out 200. No, it wasn’t my favorite part, go get yourself a circle cutter. 2. 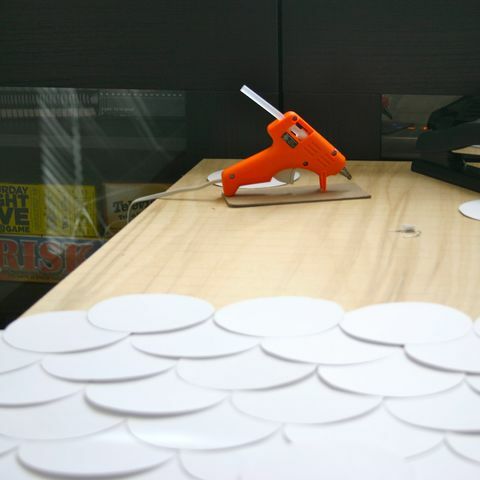 Hot glue gun your circles to your board, offsetting each row from each other. The other two tutorials above, attached their circles with push pins and staples. I got the wrong kind of wood for this, so I used my trusty glue gun. 3. 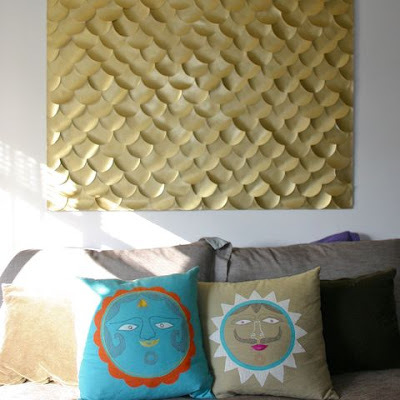 Now that you have all your circles attached, spray them down with your gold paint. Makes sure to get the edges well and direct the paint so it get s underneath the circles a bit. 4. Let the paint dry, it shouldn’t take long. 5. 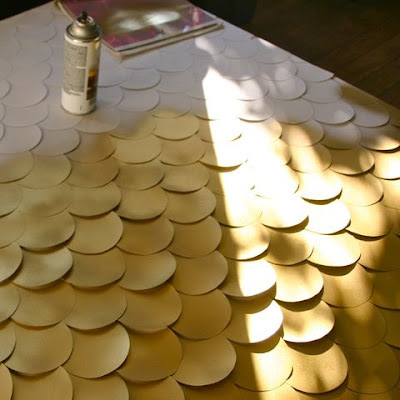 You will find that your circles have dried a little funky, so I went back through with my glue gun and tacked them down so they lay flat. I attached my sawtooth picture hangers, and hung it up. 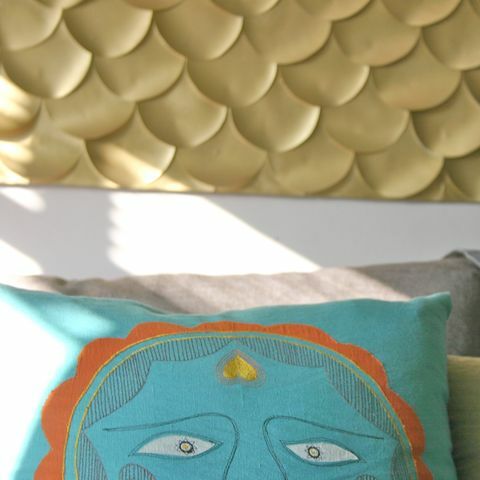 This project is simple, but does take some time, so be sure to set enough time aside to complete it.